Poetry Is Not Dead – At Least, Not In This Bathroom Stall. I’m glad to learn that the art of haiku-ing still lives on. And from a Cee Lo Green pop song, no less! Or, perhaps, it’s that haikus help stimulate regular bowel movements. 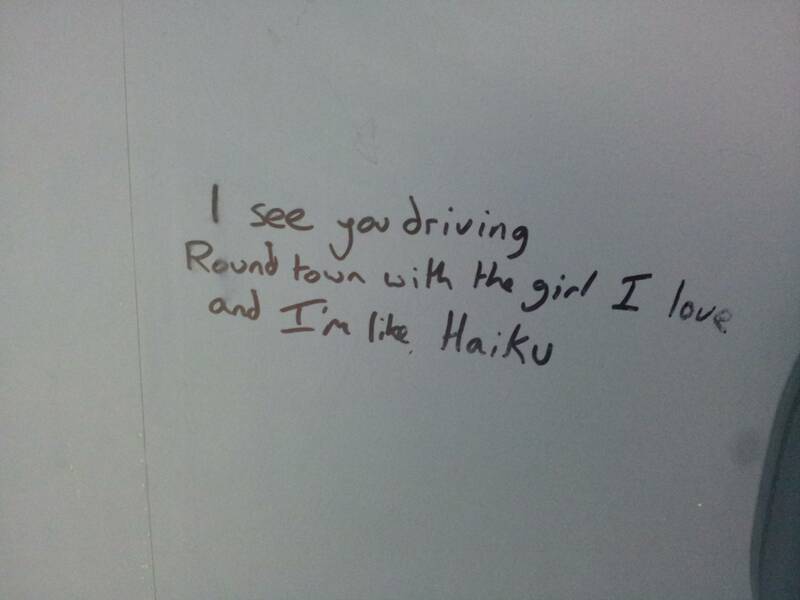 Regardless, I’m glad these disgusting stalls are keeping poetry alive. I’m sure Shakespeare started very similarly, carving sonnets into outhouse walls. How do I love thee? Let me count my balls. Yep, probably just like that.